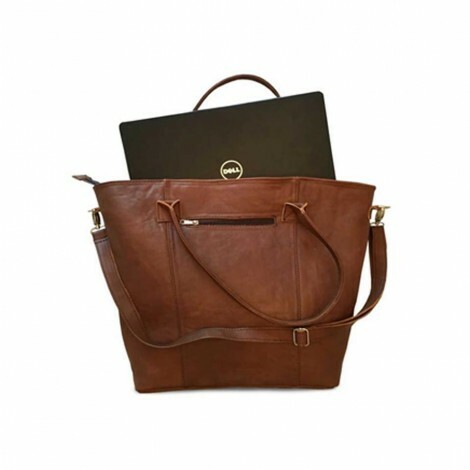 Other Features If you need a handbag that holds everything (including your laptop) but keeps you looking stylish at the same time, this one’s for you! This extra large genuine leather tote bag features 2 straps and an additional removable, adjustable shoulder strap. It has a zip closure, an outer zip pocket, 2 inner pockets (1 zipped) and plenty of space to hold everything you need. Please note:This is a genuine leather item and should be cared for using products recommended for leather cleaning and treatment. Due to the fact that it is hand made, there may be some variations in colour and size.